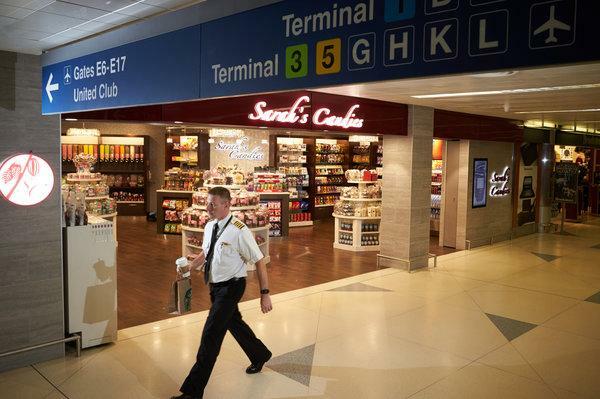 Stuck in Airport Without Kosher Food? Buy fruits, vegetables and other items that do not need a Kosher symbol for. For example, soft cheeses (read more about it here). We will try to post about this topic later. Ask Siri or google, “kosher near me”. You will be surprised! 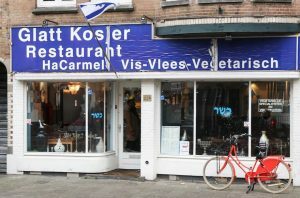 A year ago, I was stuck in a long, unplanned connection at Schiphol, Netherlands with no kosher food at all – nada. The steps in this blog were all tried, tested, and succeeded! Can I buy plain bread (or bun) in a non-kosher store? Short answer – no, you can’t, not in a place you have no access to the baker. We will try to post about this topic later. There is no kosher food on board, can I eat a pure vegetarian Hindu meal instead? No, you can’t trust it to be kosher. Read why here. 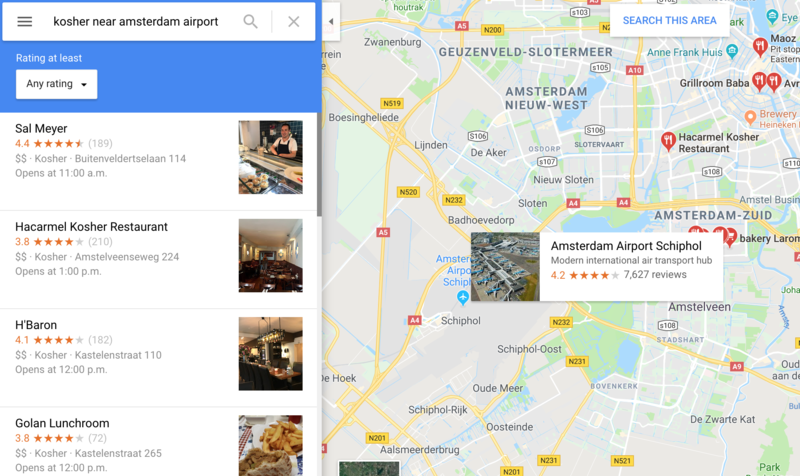 I asked Google Assistant “kosher near me”, and got these results. Most of the kosher restaurants will be glad to deliver hot meal for you and your mates, usually within 30 to 40 minutes. Note: Sometimes Google can suggest kosher places that are not kosher at all. Don’t trust Google for your Olam-Ha’ba. 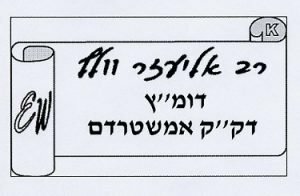 You must check with the restaurant if they have a valid kosher certificate or check with the local rabbinical authority. We will make your life easier – Search & Find Badatz Amserdam phone number here. Previous PostPrevious What is the Hebrew Date Today? Next PostNext Can I Trust a Pure Hindu Vegetarian Meal to be Kosher?